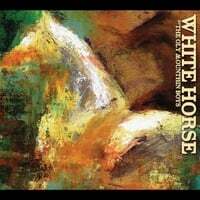 The Oly Mountain Boys | Pacific Northwest Bluegrass | Blog : White Horse released! A short and sweet update! White Horse has been released! Read about it on Foxbeard Music! Or No Depression! Or Prescription Bluegrass! Order the box set on CDBaby! Download it on iTunes! Stream it on Spotify or Soundcloud! Thank you to each and every one of you who backed us on Kickstarter, have encouraged us over the last year of making this very special album, and who attended our very special pre-release concert and reading with the Washington State Historical Society! More shows still to come!